Today, someone who does not have an account in a social network is considered to be detached from the world. Because people are so moved into the virtual reality that social networks have become an integral part of their lives and for someone the life itself. Due to the “global migration of people to virtuality,” the business also did not hesitate to integrate into the Internet. And today we have to make an effort to find a company that does not have an official page in at least one social network. Online business and marketers are waking up every day with the idea of how to build and maintain long-term relationships, what to do to withstand fierce competition, how to attract new customers and impulse them to make even more purchases in online stores. Therefore, they are constantly in search of “killer” strategies to increase online sales. In this case, two effective tools can be used. A powerful marketing channel for online commerce may become e-mail if it is used properly. Email Marketing is an online version of the traditional postal mailing. Companies can use it to enhance brand recognition and find new customers. Statistics show that in attracting new customers, the return on investment Email is 40 times more effective than Facebook or Twitter. E-mail stimulates more conversions than any other marketing channel, including search engines and social networks. Social Media Marketing is a way to promote a product or service on social networks. The specificity of this type of marketing is that success depends on the popularity of specific users, on the knowledge of the target audience and the ability to communicate. SMM tools are closer to TV shows, stand-ups and the art of direct sales than to traditional marketing. Such programs usually aim at efforts to create content that attracts attention and encourages readers to share it across their social networks. Despite the rapid development of social networks, e-mail still holds the position of the world’s most popular Internet communications format. This is reported by Mashable website with reference to the research of the analytical company Ipsos. More than 19 thousand respondents from 24 countries of the world took part in the Ipsos survey. 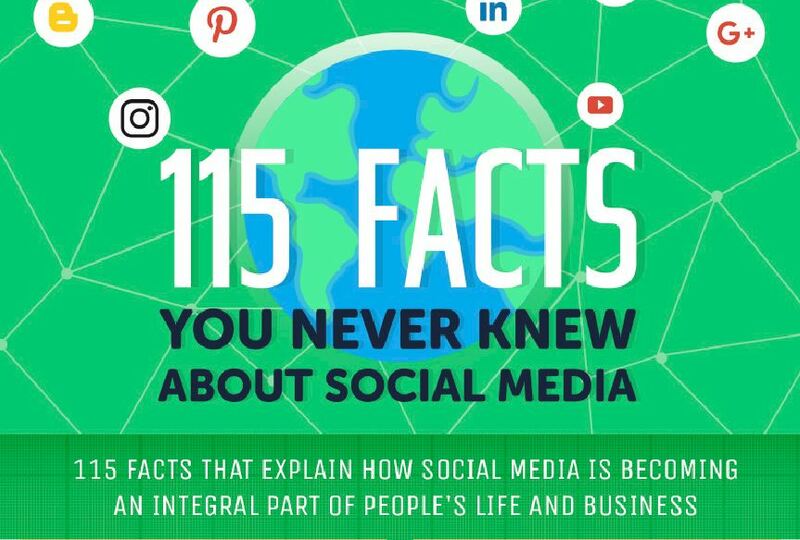 It turned out that 85% of them used the Internet to work with e-mail, while for communication in social networks – only 62%. At the same time, according to analyst Kyren Gottfried, an important result was the fact that most Internet users are communicating in social networks nowadays.”This is a change of paradigm – there is no the equivalent of social networks in the offline world,” she says. The analyst company comScore has previously found that users in the United States spend less time on postal services, and the popularity of social networks as a means of communication, in reverse, is increasing. Сontrasting between these two alternatives is controversial. Firstly, Internet usage patterns vary depending on the country, says Ipsos research. For example, in Hungary, 94% of respondents are connected to the Web to verify e-mail, and in Saudi Arabia – only 36%. Social networks, forums and blogs were the most popular Internet destinations in Indonesia (83%), Argentina (76%) and Russia (75%), and the least interested in users in Japan (35%). Social networks, forums and blogs were the most popular Internet destinations in Indonesia (83%), Argentina (76%) and Russia (75%), and the least interested users are in Japan (35%). Secondly, the largest social network in the world now is Facebook, with the number of users worldwide exceeding 845 million. However, Facebook also recognizes the importance of e-mail for the user – the social network introduced a unified Facebook messaging tool that combines e-mail, Internet messenger and SMS. That is why email marketing is often considered an alternative to social media marketing. Actually, it has been known to prevail social networks when it comes to total conversions. Thirdly, searching in different web resources, we can find information that the number of e-mail users is steadily declining. Although this messaging technology is still popular, it is no longer a routine for many Internet users, especially the younger generation. In fact, the advantage of a particular category depends to some extent on the age group. We can observe that young people mostly use a variety of modern Internet communication networks, while the older generation tends to e-mail correspondence. Reasons why email marketing outmatches social media. Many internet marketers no longer regard email marketing as an up-and-coming topic, relying mainly on tweets, “likes” and the Google +1 button. Many e-commerce professionals have focused on fashionable tools that everyone is hearing. They call e-mail old-fashioned and unnecessary. But we should admit that this statement was a mistake. Media networks is a good and effective tool, but we should not put it ahead of marketing by email. So, why email marketing still tops social media marketing? E-mail still remains one of the most popular messaging channels on the Internet. According to various data, 70-80% of Internet users check their electronic boxes more than six times a day. This fact confirms that email remains the most reliable way to communicate with the audience. Facebook and other social networks are a great way to find old friends and new acquaintances. The microblogging service Twitter allows you to comment on events occurring in real time. And e-mail is still a traditional tool for discussing business issues. According to research by ExactTarget, 77% of Internet users prefer to receive business emails via email. Times of purchase of databases of emails and mass mailings have passed. However, email marketing remains an effective tool for increasing sales. According to researchers by MarketingSherpa, 66% of web users have made purchases after receiving an email. Email marketing is pretty cheap. All you need is a service provider and content to send to subscribers. E-mail complements SMM – and SEO-campaigns. Using email greatly increases the efficiency of marketing a small business on the Internet. For example, starting a new campaign on social networks becomes more successful if you send a letter to you with a message announcing the start of a new project. Despite the fact that to some extent e-mail is an outdated environment, the technical way of using email Marketing makes it even more effective. Excellent tools for optimizing marketing and improving the effectiveness of campaigns can serve automation of email, ability to segment and create personalized content, test A / B; additional statistics suggest that the association of Email marketing with social advertising increases the likelihood of purchasing by 22%. Consequently, email marketing has lost its popularity due to the development of alternative methods of promotion like social media, but it remains one of the most effective ways to “reach” the target audience. Like other internet business promotion methods, email marketing is not universal. However, it should be one of the key elements of the strategy for promoting small business. Pinterest launches the business account!